Arash is bringing a 2000 horsepower AF10 to Geneva. The Arash AF10 was the first model produced after Farboud Limited changed its name to Arash Motor Company LTD. It made its public debut at the MPH Motor Show alongside other models from the likes of Koenigsegg, Lamborghini, McLaren, and Maserati, to name a few. That AF10 was powered by a 7.0-liter V-8 that was sourced from a sixth-generation Chevrolet Corvette Z06 and had a Graziano GT-ME1, six-speed manual transmission. 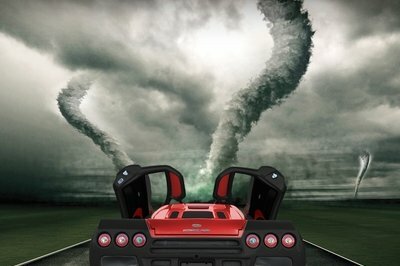 The car put out 550 horsepower, 475 pound-feet of torque, and was capable of hitting 205 MPH. All told, the British supercar builder did well with this beast, but for the Geneva Auto Show this year, Arash has stepped its game up big time. This year, Geneva marks the debut of a new Arash AF10. As far as the body goes, there are some changes, but the overall design is still recognizable as an AF10. See, the big change for the 2016 model comes in the form of available power. It still comes from the Corvette, but now it’s the updated 6.2-liter supercharged V-8 from the C7 Corvette Z06. 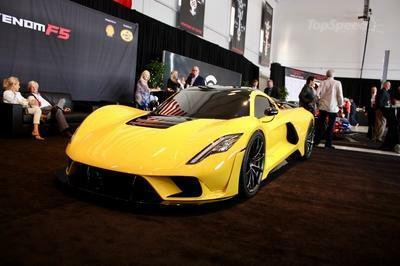 Arash didn’t leave it alone, juicing the V-8 to 900 horsepower. Arash then added what it called the "Warp Drive." I’ll go into specifics about that later, but this hybrid powertrain that makes the old AF10 seem slow by comparison. Now that the cat is out of the bag, I’m sure you’re as excited to read about the new AF10 as I was when I first heard the news. So, let’s take a gander and talk about the new AF10 that will debut in just a couple weeks in Geneva. 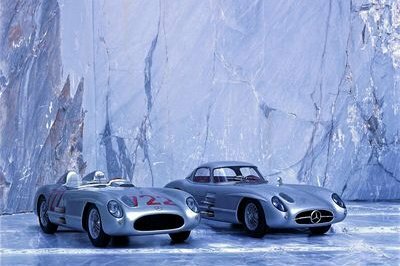 Updated 03/07/2016: We added a series of new images taken during the car’s official debut at the 2016 Geneva Motor Show. Also, you can now learn more about the upcoming AF10 supercar thanks to the new details unveiled during the official launch. Continue reading to learn more about the Arash AF10. On the outside, the actual design of the AF10 resembles more of a facelift than a redesign when compared to the original. Up front, the car still looks like it is smiling at you with the large center grille. To the sides, Arash reshaped the corner vents so that they are more rectangular than the triangular vents on the original. Those LED foglights are still mounted in the vents, but they are now integrated into a horizontal louver that extends the width of each vent. 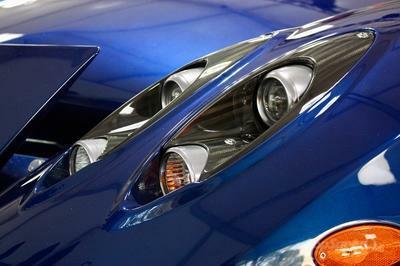 Even the headlights share a similar shape. There is a large carbon fiber spoiler on the front fascia, and another one positioned between the headlights. To the sides, Arash reshaped the corner vents so that they are more rectangular than the triangular vents on the original. As we move farther back toward the teardrop cabin, the AF10 still has those boxy, front wheel arches that lend a flat mounting surface for the side view mirrors. Just behind each side view mirror is an open vent that is integrated into the doors, clearly to provide airflow from the front wheels. We see more carbon fiber down at the side skirts. Huge air intakes for the engine are positioned in front of the boxy, rear wheel arches. At the rear, we can get the full gist of the teardrop styled cabin as it comes to a point toward the rear spoiler. The new AF10 now has a stationary, but function carbon fiber spoiler attached to the horizontal flat that runs between the two fender extensions on the rear fascia. The taillights are of the dual, round lens design – similar to that of the C5 Corvette. There is a huge vent on each corner of the rear fascia, and twin, dual exhaust pipes protrude just above a rather mild rear diffuser. The car rides on 20-inch wheels in the rear and 19-inch wheels in the front. The body itself is made from carbon reinforced plastic with aluminum honeycomb sandwich construction. Behind the body, sits a carbon reinforced tub composed of just 13 pieces in T1000 carbon fiber and Aramids. The front and rear subframes are made from machined aluminum and have a torsional rigidity of more than 60,000 Nm per degree of twist force. The chassis is supported by a double wishbone suspension system in the front and rear that also has a hydraulic lift system. The suspension lifts 15 cm as needed for speed bumps or road conditions and lowers by 15 cm for high-speed runs. Not a bad setup, but what until you hear all the juicy details in the drivetrain section. On the inside, the Arash AF10 has a generous offering of carbon fiber throughout. The door trim panels, most of the dashboard, the center console, and the door sills are all composed of clear-coated carbon fiber. The flat bottom, three-spoke steering wheel and the floor mats look to be wrapped in Alcantara, but the carpeting on the roof actually looks to be of a cheaper quality, like something you find in the rear cargo area of a Chevy Malibu or Honda Civic, for instance. The interior is also accented by burgundy-colored leather. The leather can be found around the gear shifter, in the center of the steering wheel, part of the area surrounding the instrument cluster, and the seats. Oddly, this leather almost looks like an aged leather, like something you would see in a well-maintained classic car as opposed to fine leather appointments we’re accustomed to in supercars these days. That means that either Arash got cheap with its leather appointments, or wanted the interior to have more of a classic look. It’s not a horrible look, but it isn’t exactly what I expected to see on the inside of the AF10. This model is a little more refined than the previous model, however. The previous model had larger pedals down below, and the instrument cluster was completely different. Before the instrument cluster had an analog gauge on either side, with a small four-inch display in the middle. The new AF10 has a completely different look. From the image, we can’t tell if it has the carbon fiber weaving in the background, but it almost looks like someone crammed a large cell phone into the center of an old instrument cluster and called it good. I assume this phone-like display provides all relevant information regarding engine speed, vehicle speed, coolant temperature, oil pressure, and the like. Over above the center console, it looks like a pop out, fold up head unit has been used to provide means of an infotainment system. We have no official specs, but I assume it is touchscreen and offers navigation as well as some kind of phone connectivity. Being painfully honest, I like the material appointments and design of the older model better. Based on the image we have of the interior here, it really looks like it’s kind of thrown together on the inside. Maybe I’m just being a little too critical. Either way, I expected to see a little more here. The new AF10 is offered in three different flavors – the base AF10, the AF10 Hybrid, and the AF10 Hybrid Racer. The base AF10 presumably comes with the same 6.2-liter as the AF10 hybrid, but it has been toned down to a mere 550 horsepower. Arash hasn’t elaborated at all on the base-model, so considering that is the same figure we saw on the old AF10, it could be powered by the same Chevy-sourced 7.0-liter. More to the point, that supercharged 6.2-liter V-8 makes 650 horsepower in its native Corvette Z06, furthering my suspicion of the older powerplant’s use. A total of four electric motors, producing a total of 1,180 horsepower and 803 pound-feet of torque brings total output to 2,080 horsepower and 1,681 pound-feet of torque. Arash did, however, elaborate on the AF10 Hybrid, which also has the same powertrain as the Hybrid Racer. The hybrid has that 6.2-liter V-8 that has a supercharger mounted between the heads with built in charge cooling. It manages to pump out 900 horsepower and 885 pound-feet of torque. In addition, a total of four electric motors, producing a total of 1,180 horsepower and 803 pound-feet of torque brings total output to 2,080 horsepower and 1,681 pound-feet of torque. The engine is mounted to a six-speed manual transmission or optional paddleshift gearbox, and each motor has its own gearbox providing two different speeds. Maximum motor speed is limited to 13,000 rpm. The electrical motors are powered by a 32 kWh Lithium-Ion battery that has a maximum output of 880 kW. There is a 22 kW charging device built into the vehicle and charging can also be accomplished in “race” mode when the electric motors act as generators. All told, the AF10 has a top speed in excess of 201 mph running on just the engine, or a top speed of more than 200 mph on just electric motors. To put things into perspective, it takes the AF10 less than three seconds to hit 62 mph, less than eight seconds to hit 124 mph, and less than 27 seconds to hit 186 mph. In all-electric mode, the AF10 hits 27 mph in less than three seconds and 62 mph in less than five seconds. On the fly, the AF10 can increase from 50 mph to 75 mph in just 1.8 seconds. 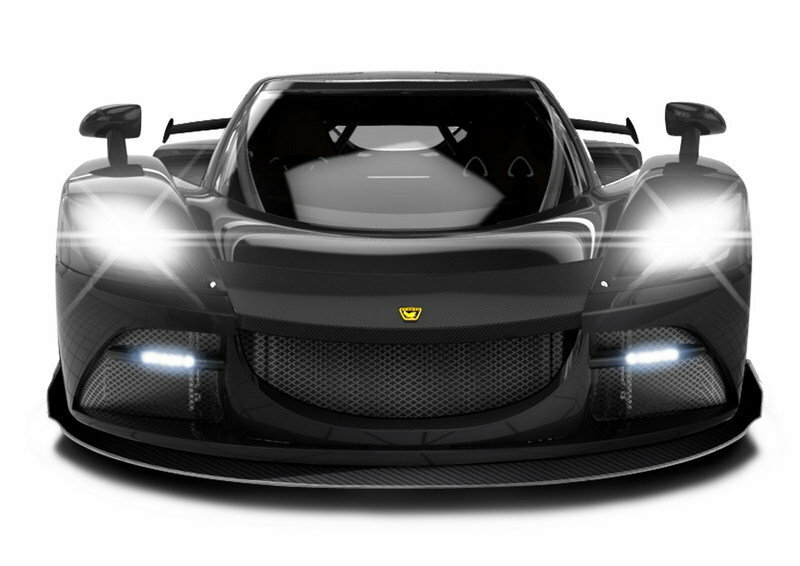 When you’re an exclusive manufacturer like Arash, developing cars that have “warp drive,” you’re forced to compete with the likes of Koenigsegg. 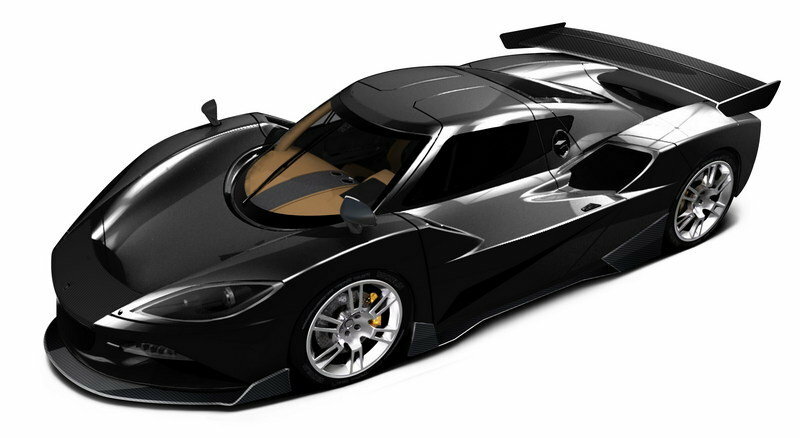 In this case, I’ve chosen the 2016 Koenigsegg Regara as a worthy competitor. Recently, it was listed on a German website as being priced at £2,100,000 or $2.96 million at current exchange rates. That said, it is a bit more expensive compared to the AF10 but, on the track, it should be a good showdown. The Regera pumps out 1,500 horsepower and 1,475 pound-feet of torque. 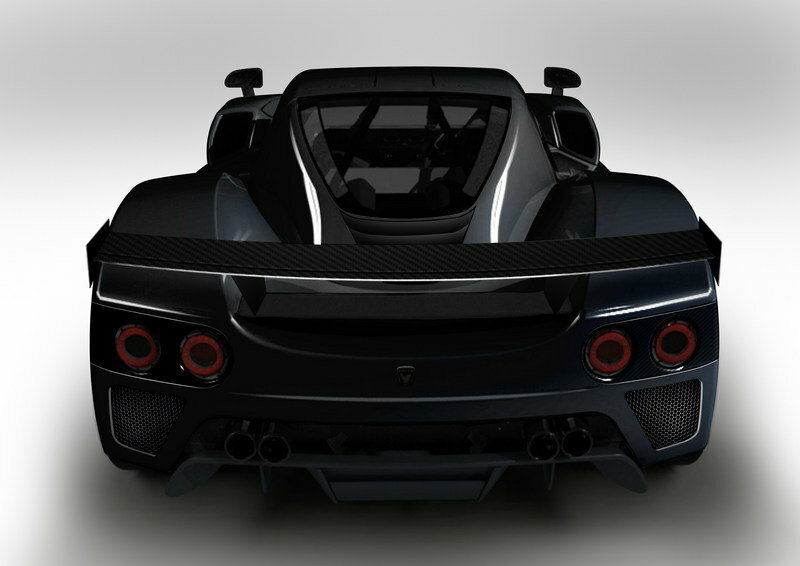 It has an estimated top speed of 250 mph, and can make the sprint to 60 mph in just 2.5 seconds. 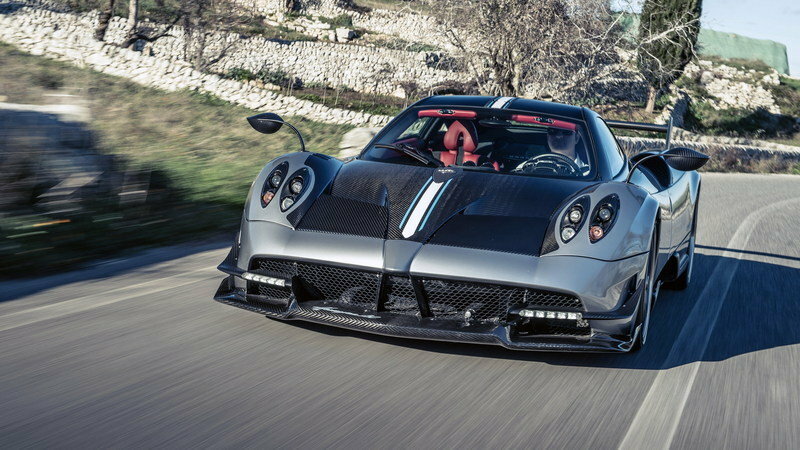 The Huayra is another supercar that is slated to make a debut in Geneva this year. We’ve already received the official preview, and the BC is said to produce “more than 750 horsepower.” Some sources indicate that the new BC could boast more than 800 pound-feet of torque. Even though we don’t have official output specifications, we expect the BC to hit the 60 mph sprint in 2.7 seconds with stop speed somewhere in the 220 mph area. Power is sent to the wheels via a new seven-speed automated manual transmission designed by Xtrac. Pricing information has yet to be released, but a standard Huayra fetches around $2 million, so we expect the BC to command somewhere between $2.5 million and $3 million. Despite the difference in price, I say we line up the new AF10, Huayra BC, and the Regera and see how well the compete against each other in the real world. Read our full review on the Pagani Huayra BC here. I suppose I have to say that I’m a little disappointed that Arash didn’t change all that much about the exterior of the AF10 compared to the previous model. Like I said before, it is really more of a facelift than anything. The power from that hybrid drivetrain, though. Talk about a wow factor there. To be honest, I didn’t expect to see a new AF10 fly out of the gate with more than 2,000 horsepower on tap. That figure puts it in a very exclusive group of cars that are only attainable by those with extreme wealth and desire to own such a masterpiece. I can’t deny that, even with little modification to the exterior, Abash really outdid itself this time. no shots of the interior, yet. Far out of my price range.